In this picture you can see the some old houses on the South Parade. 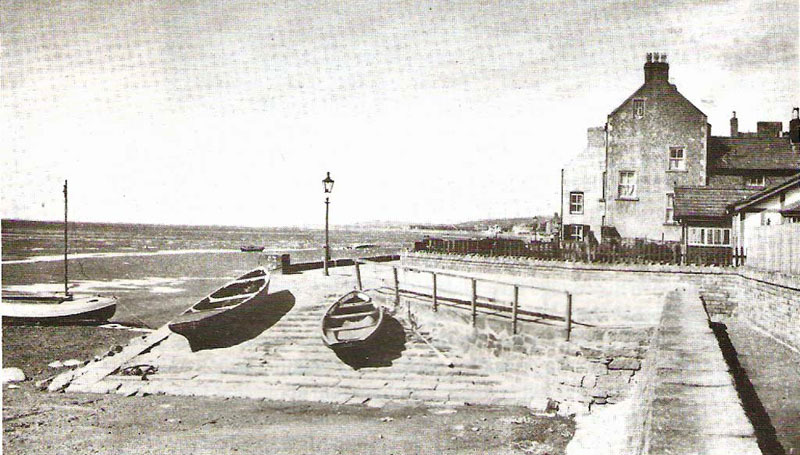 These were demolished about 1962 to make way for the present Old Quay pub. The Parade comprises the sea wall and adjacent road along Parkgate front. It starts at South Slipway, adjacent to the Old Quay public house, and continues all the way to the Boat House and Old Baths a distance of just over 1 km. In the picture you can see 2 rowing boats laid up on the steps; there are about 20 steps visible, but as a result of silting only 7 can still be seen.